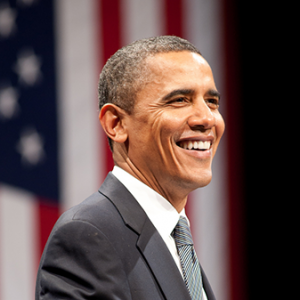 DeKalb County Board of Education (BOE) recently voted unanimously to name a new elementary school (Pre-K – 5) in honor of President Barack Obama. The new school will be known as the Barack H. Obama Elementary Magnet School of Technology. This is the first public school in Georgia named for the nation’s 44th chief executive. The new school will be temporarily located in the former Terry Mill Elementary School, located at 797 Fayetteville Road, Atlanta, pending completion of a new replacement school on the former Clifton Elementary School site at 3132 Clifton Church Road, Decatur. Total costs for the new school will be $23 million. Barack H. Obama Elementary Magnet School of Technology, a modern 900-student facility similar to new schools at Fernbank Elementary School and Peachcrest Elementary School, is scheduled to open in January 2017. Projected enrollment for school year 2017 is 715 students. Board Member Dr. Michael Erwin, who represents the area, and Dr. Ralph Simpson, Regional Superintendent, co-chaired the school naming committee. The naming committee also included two area principals, staff, parents, students, and representatives of the local faith community. The committee identified naming options that were then voted on by students and staff at the school.